Disney adventures are playfully brought to life with the official Disney giftware collections. The fabulous Disney Grand Jester Studios range was created in partnership with animator and sculptor Ruben Procopio who designed each limited edition polystone figure to dynamically capture the iconic characters. The Elsa from ‘Frozen’ Disney princess ornament from Disney Grand Jester Studios is the perfect gift for a little one who loves the musical snow queen. 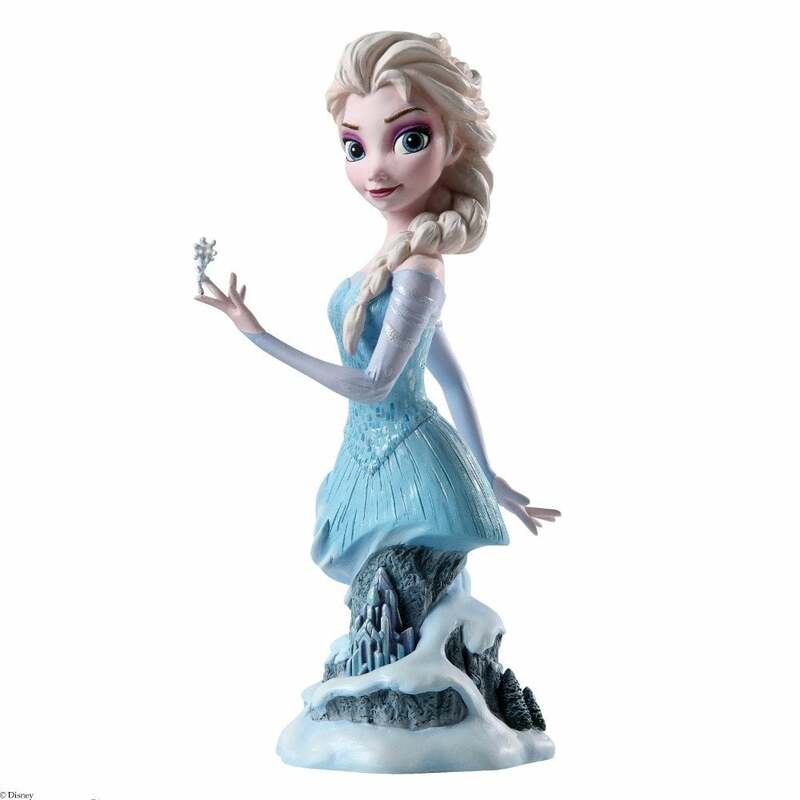 Creatively designed as a bust that appears to rise upwards from the film’s mountainous setting, the Elsa figurine is simply stunning in it’s appearance and would be the ideal addition to a shelf or windowsill. Each figure from the Disney giftware range is boxed carefully to ensure it’s safe arrival in perfect condition. The Disney Grand Jester Studios range is part of the complete Disney giftware collection here at Hillier Jewellers that also includes Disney Britto figurines and the Disney Showcase Collection. Beautifully designed and full of charm, each Disney giftware option offers a magical element that can be appreciated by all ages. Browse the full selection of collectable figurines and not only will you receive 10% off your first order with us, but spend over £30 and you can enjoy free UK delivery!